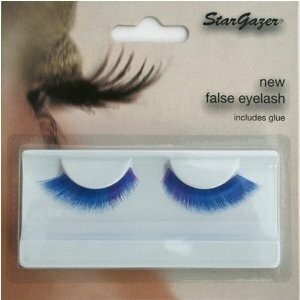 Stargazer's range of reusable feather false lashes are a fun way to enhance your makeup. A wide selection are available, from thick black to enhance your own lashes, to flamboyant designs with neon colours & bright feathers. The lashes are easy to apply & each pair comes complete with a small tube of eyelash glue.